Home › Christian Living › Is Prayer Your Steering Wheel Or Spare Tire? 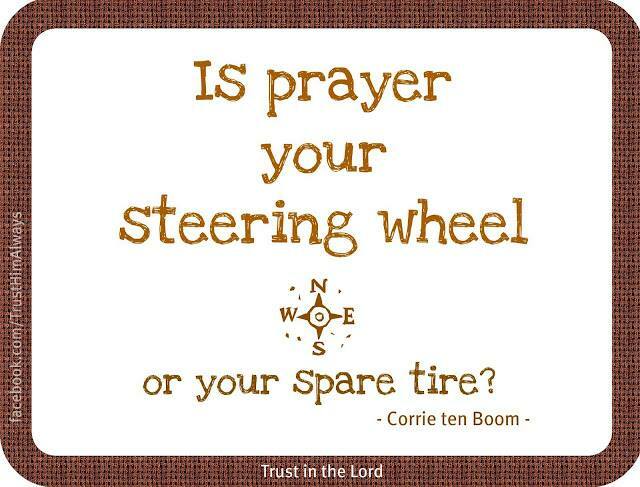 Why not decide today to make prayer your steering wheel in life? Hey, thanks for the reblog. 🙂 God bless you! God bless you…you’re so nice! Cheryl wrote this one though..she’s so amazing, isn’t she? Love her! Love you too, Biblebabe! Yes I love her posts too 😀 and thank you. Hello Biblebabe. Thanks for the reblog. God bless you!